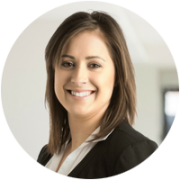 Brianna plays a vital role in both the Rentwest and Custom Financial Solutions teams. She has a range of responsibilities from trust accountancy to banking activities, administrative support and dealing with all IT for the company. 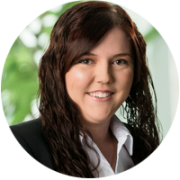 As a registered property manager Brianna is always eager to help the property management team. She is exceptionally organised and enthusiastic about all aspects of her job. Christina joined the Rentwest team after spending almost a decade in customer service. In January 2014 she made the switch to Property Management. As an Assistant Property Manager, Christina works closely with several property managers in the day-to-day running of their portfolios. She attends home opens, oversees rent inspections and carries out vacates and initial property condition reports, working with both clients and tenants. Eva – Have you been working with Rent West the whole time? Eva – And how long has Rent West been in business? How Has Outsourcing Impacted Your Industry? Brianna – It’s really increased the service that we give to our clients. Our girls in the Philippines are doing the admin work and it means our property managers have more time to spend with clients out on the road. Eva – So less admin and more face to face work, which would have increased the level of customer service you provide? How Do You Find Working With An Offshore Team? Did You Have Any Fears Around Outsourcing? Eva – Now you actually work in the business and you don’t own the business. Do you feel as you are a part of the actual admin team that you had any fears around brining in offshore team into the business? Has Outsourcing Affected Any Jobs In Australia? Eva – One of the biggest fears is outsourcing will take jobs away for staff in Australia. Has that actually happened in your business? Brianna – Not at all, it’s just increased the level of service we give to our clients. Eva – Out of curiosity, how many team members do you have in Australia? Eva – Do you just communicate with one or two people in the business or do you communicate with a larger group of people? What Type Of Tasks Do You Perform For Your Client? What Areas Do You Find Challenging In Your Role? Gretchen – For me at first it was very challenging drawing up a new lease thinking what if I get it wrong, having to calculate the lease start dates. Because after we draw up a new lease we directly email it to a tenant. Eva – So you’re nervous to make sure you don’t make any mistakes? Eva – So with a little bit of training you understand what you’re doing now? Eva – So of the other reasons you’ve come to visit your team in the Philippines is to take them to the next level and show them even more tasks they can complete. How is that coming along? Brianna – Yeah it’s great, they’re fantastic. We’ve only had to show them a couple of times and they’ve picked it up straight away. Any Advice For Other PM’s Considering Outsourcing? I am so excited to have taking on my first VA. I was very reluctant and didn’t really have the time for change and training, but it was far easier than I thought. After just a month… I now could not work without Ely. This has literally saved me $1000’s (in just a short period of time) for our graphic design work alone.